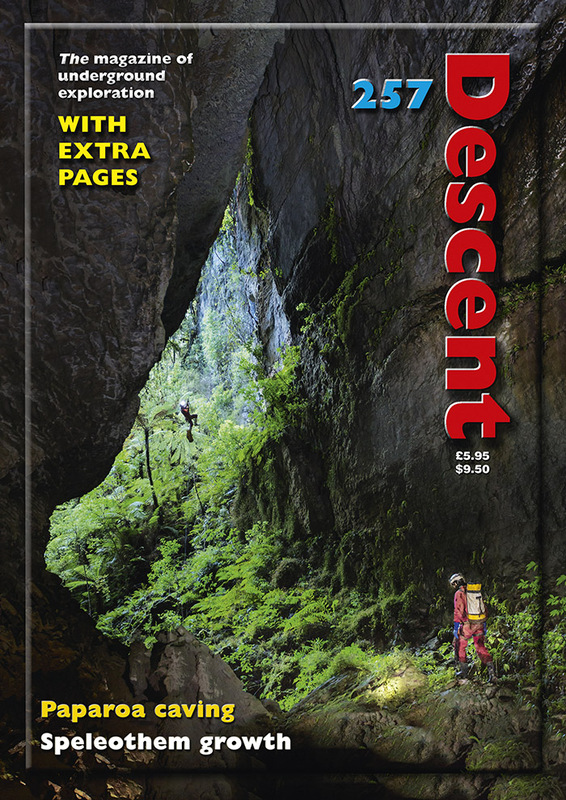 Descent 257 is now available! 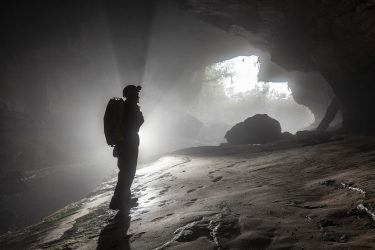 As ever, Newsdesk will bring you up to date with news from around the world, including the news that the Royal Geographical Society is hosting a British caving weekend from 1st to 4th December at its headquarters in London. The title of the event is A Golden Age of Cave Exploration: Celebrating 50 years of British cave exploration and science at home and abroad. Descent gives details of ticket prices for the various sessions and will be bringing further details in its next edition. A new British-led scanning project has determined the exact size of the immense Salle La Muneca Fea in Mexico, which now takes fourth place in the world listings. The dimensions have come out as twice that originally estimated. To find out how big the chamber actually is, you’ll need to read the news piece! Derbyshire caver Bill Whitehouse has been awarded an MBE for services to cave and mountain rescue. There’s a short account of the BCA AGM and the upcoming ballot on changes to its constitution after the meeting decided to vote for the removal of the wording that states: ‘That the owners and tenants of property containing caves have the right to grant or withhold access.’ This is part of the BCA’s ongoing, divisive campaign for the inclusion of caves within the rights granted by CroW. In Paris, there’s been a rescue from its catacombs after two teenagers became lost for three days and theirs outrage in Mulu over possible new arrangements for the management of tourism in some of Malaysia’s national parks, amidst concern that a transfer to a Chinese company might result in loss of local jobs. There’s a report on Descent’s long-running Adopt-a-Cave Scheme, and an overhaul has seen a significant number of caves freed up for adoption as a result of defunct or inactive clubs coming off the listing. In other conservation-related news, work is continuing at Waitomo Caves in New Zealand to preserve the glow-worm population for which the cave is famous. In the UK, concerns have been raised regarding water quality in Otter Hole and cavers are reminded not under any circumstances to drink the water as it has been found to be contaminated with what might be raw sewage. The cave has also been the subject of a couple of recent filming trips. Also in Wales, a Welsh Government consultation is ongoing regarding access to the outdoors, although caving is not specifically mentioned in the document, this represents an opportunity for cavers to have their say on the subject of access. On Mendip, ‘witch marks’ at Wookey Hole have been in the news again, with the discovery of more marks during the development of the Wild Wookey Adventure tour. Remember, this is only a brief snapshot of four pages crammed full of interest! In news from the north, you’ll find a report on digging in Moribund Inlet in Notts II on Leck Fell, with the final boulder choke under attack again. There’s a note on the long-standing mystery of some large bones found in the early 1980s in Dub Cote Cave and news of a clean-up in Sell Gill. On Black Edge Moor, a stone cairn stands above the spot where six cavers died in Mossdale Caverns, the site of Britain’s worst ever caving accident. This year marks the 50th anniversary of the tragedy. In happier news, cavers will no doubt be glad to know that the Marton Arms has re-opened following a recent refurbishment. 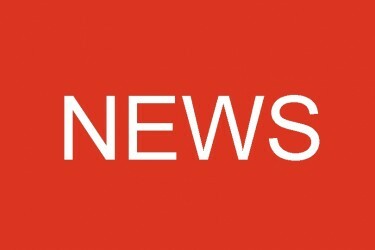 On Mendip, there’s news of the recent rescues at Box Mines in Wiltshire and the loss of access following the installation of grills at all entrances by the landowners, the Hanson Group. There’s also news that Longleat Estates, who own areas of Cheddar Gorge are now requiring cavers to sign a liability waiver before entering caves in the gorge, including Reservoir Hole, and in future, digging requests will be handled by CSCC in consultation with Natural England. The Peak District bring news of exploration in the Deep Rake lead mines on Longstone Edge and a survey and photos of Oblivion Rift Cave. A new cap has been installed on a shaft above Devonshire Mine at Matlock Bath. Permission is needed for access as it is in the garden of a private house. In Scotland, exploration has continued at Applecross and members of the Grampian SG have been seen on TV a lot lately, so keep an eye out for them – in full SRT kit – as an intro to some BBC programmes. News from Wales tells of activities on the Gower peninsula during a recent BCRA field meeting and reports on how a party in Ogof Draenen encountered – without warning – dangerous explosive fumes towards the end of the Last Sandwich crawl, although the logbook contained no note of any recent banging trip. In International news, there’s a survey of La Ang Khcal, Cambodia’s longest cave, news of the longest and deepest caves in Canada and the work carried out by British cavers and divers in Spain. The section on Mines and Mining reports that a new mine beneath the North York Moors will make millionaires of several landowners and potentially raise considerable revenue for the national park when work starts on the extraction of an immense seam of polyhalite, a form of potash that is used for fertiliser. 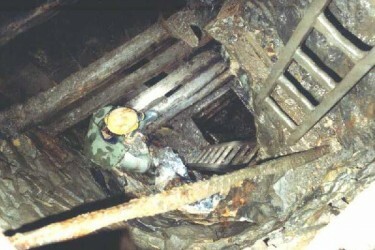 A second mine has been opened to the public at Grime’s Graves in Norfolk. The breakthrough from Hobnail Hole to Thrupe Lane Swallet on the Mendips is described, together with the work the diggers had to undertake to ensure the through route remained stable. The centrefold in this issue is taken up with some superb photography by Neil Silverwood in the South Island, New Zealand. Even by Descent’s high standards, the photos are brilliant, and the accompanying article provides a fascinating insight into the caves of this little-known region. A double-page spread introduces readers to the various accreditation schemes available to cavers in the UK and the changes recently introduced to the BCA’s caving awards. In Preston, Lancashire, cavers have been exploring a medieval well underneath one of the city’s oldest buildings, discovered during recent renovations. The Life Under Earth series continues with the third part of a caver’s guide to the microbiology of caves with more excellent photographs and a wealth of fascinating information in a sumptuous seven-page spread describing the various types of formation encountered underground. Robin Weare shares his experiences gained on a visit to Ethiopia in partnership with local cave enthusiasts and academics. Amongst other things, they explored and surveyed the largest known cave chamber in the country and visited the source of the Blue Nile.